In these troubled times, it's important to have music that's fun, something that reconnects us to our youths when the whole world felt possible...and then combine with the demand to make that world possible. However, for many people, our youths felt foreclosed by social pressures all around us. 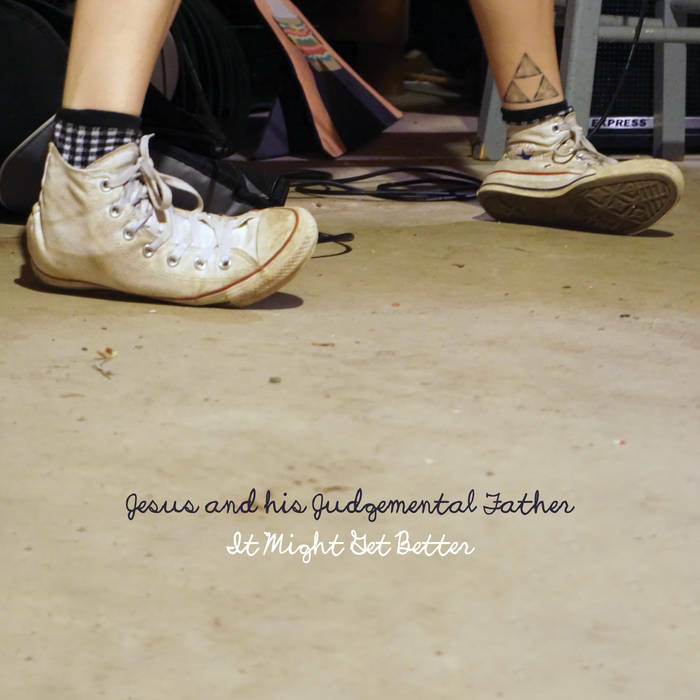 It Might Get Better, the sophomore full-length from Leeds-based queer punk band Jesus and His Judgemental Father, is a painful reminder of those feelings and a nuanced examination of how they continue to impact us when we've grown up and left the house. For those who don't know, gay columnist Dan Savage of Savage Love fame among other queer activists and celebrities launched a suicide prevention campaign in the mid-aughts called It Gets Better that encouraged LGBTQ young people to hang on and find community. The album's cheeky rejoinder refers both to the short-term frustrations of romantic peccadilloes we all face to the existential crisis of physical safety and mental health in a world that wishes queer and trans people didn't exist. The arc of the universe may bend towards justice, but as we've seen across the world, it's by no means linear. This week alone, two black trans*women were reported murdered. The album is no more of a downer than any good old country album; there's something about the unity of the experience of hearing someone pour themselves out that reminds us of our resilience. After all, we're lived to sing the tale. Thanks for reading! Tune in every Thursday for my podcast with Von Cloedt or find us under Adobe & Teardrops on your favorite podcast apps! Help us help you find great music by subscribing to our Patreon or dropping a one-time tip in our Ko-fi cup!